Welcome to our latest addition to the BallyCara Village of Friends. Situated at Scarborough, these architecturally designed apartments comprise of a range of 1, 2 & 3 bedroom apartments meticulously planned to ensure each and every Resident feels at ease the minute they walk into their new home. Featuring spacious kitchens equipped with modern appliances and beautiful Caesar stone bench tops each apartment has been carefully designed to provide you with a beautiful environment capable of changing with your care needs and requirements. Finished in a minimalist and modern style, each interior features soft and neutral tones bringing warmth and serenity to the environment whilst offering the multitude of benefits that well thought out spaces bring. Each apartment has a separate laundry, ensuite, plentiful supply of storage and adjoining balcony along with basement carpark, storage cage and multi-lift access to each level. 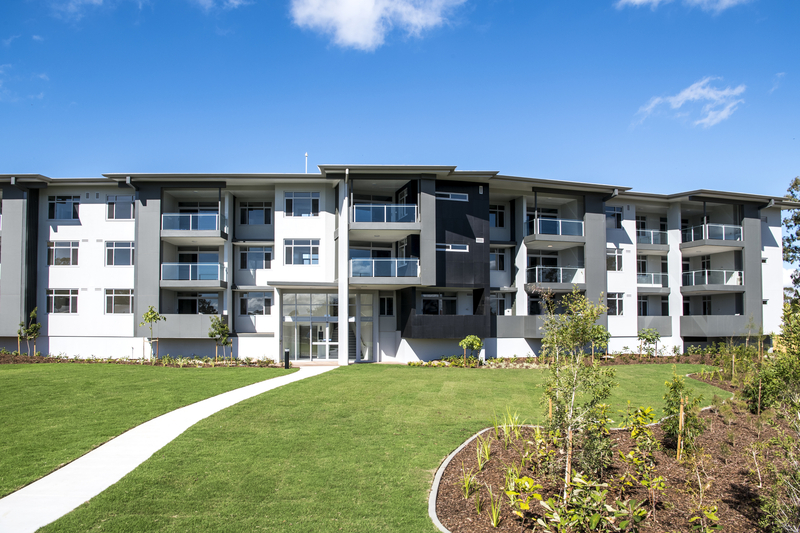 The apartments provide style and function offering a choice of accommodation suitable for a variety of lifestyle requirements and catering for a range of budgets. Most importantly, the apartments are designed to cater for changing levels of care. This means Residents can stay in their own apartment regardless of increased care needs. What’s more, as a Resident at BallyCara, you’ll enjoy total access to our Wellness Centre and various activities and social events including bus trips, shopping bus outings, river and bay cruises, fishing trips and a full suite of support services designed to help you age in place. Above all, the Village of Friends is a way of life that makes BallyCara distinct from other retirement or resort communities. It is the enjoyment and harbouring of a unique spirit among Residents and also staff that enhances the lifestyle of each individual. Apartment prices range from $365,000-$500,000.